Provide comfort for the family of Grace Smith with a meaningful gesture of sympathy. Grace Nutt Smith passed away unexpectedly on Monday, March 4, 2019 at Massachusetts General Hospital in Boston, surrounded by family and friends. She was born on May 27, 1942 to the late Vincent A. and Jean Taylor Nutt in Burlington, VT. It was in the halls of Housatonic Valley Regional High School in Falls Village, CT that she met Ray Smith in 1958, whom she would marry after graduating from Albertus Magnus College in 1964. Grace and Ray would have celebrated 55 wonderful years of marriage this September. Prior to her retirement, Grace worked as an insurance account executive for both Aero Insurance and Nation Air. Grace brought warmth, joy and kindness to everything she touched. Her hands loved to be busy: from turning the pages of the many books she loved, to the needles of her knitting and crochet projects worked in the car on day-trips with her husband, to creating and nurturing her beautiful garden, to the ingredients measured in never-ending batches of cookies and hot fudge and organizing music for her beloved Silver Linings Chorus. She had a life-long passion for music and musicals, always filling her kitchen with Broadway show tunes. She loved trips to the beach to collect beach glass and to dip her toes in the cold New England ocean. Every summer you could find her happily floating in her backyard pool and celebrating the annual Smith Family Reunion with her children and grandchildren. She was a very active and dedicated woman. 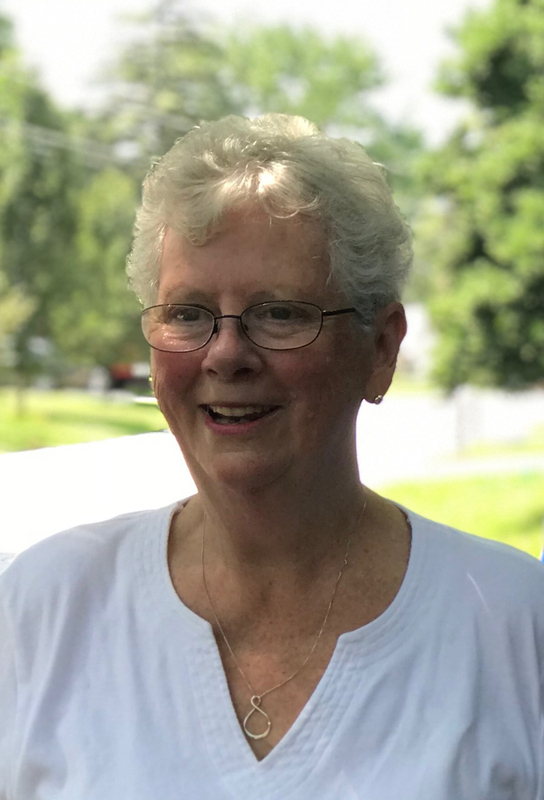 She enjoyed being a member of her Parish of the Resurrection Prayer Shawl group, a Council Member of the Nashua Senior Center, Treasurer to the Silver Lining Choir and dedicated member of her book group, both through the Nashua Senior Center. Above all, she cherished spending time with her family. Grace is survived by her loving husband, Ray Smith, her five children, to whom she was a devoted mother, and her sons-in-law, for whom she cared for deeply: Jennifer Smith Stover and her husband John Stover of Amherst, NH; Matthew Taylor Smith of Merrimack, NH; Amy Clare Smith of North Yarmouth, ME; Sarah Smith Choquette and her husband Gene Choquette of Cypress, TX; and Jessica Smith Estrella and her husband Manny Estrella of Martha’s Vineyard. She was Gratze to her grandchildren: Grace, Kate, Thomas and Lucy Stover; Kaylee and Cassidy Smith; Hannah and Sophie St. Jean; Christopher and Jillian Choquette; and Alley and Morgan Estrella. She loved her husband, children, sons-in-law, grandchildren, siblings, nieces, and nephew more than anything, and her heart was big enough to hold them all. Her family members are blessed to have inherited so many of her traits and passions. Forever would not have been long enough to spend with our beloved Grace/Mom/Gratze. SERVICES: A Memorial Service will be celebrated at the Parish of the Resurrection, 449 Broad St., Nashua, NH 03063 on Friday, March 15th at 11:00 am, with a Celebration of her life to follow. Relatives and friends are respectfully invited to attend. Burial will take place at a later date at the convenience of the family. In lieu of flowers, please consider donating to Boys Town, 200 Flanagan Boulevard, PO Box 8000, Boys Town NE 68010. To send flowers to the family of Grace Smith (Nutt), please visit our Heartfelt Sympathies Store. We encourage you to share any memorable photos or stories about Grace. All tributes placed on and purchased through this memorial website will remain on in perpetuity for generations. Tom DeCoste, The McCartneys - Diana, Steve, Kyle & Nick, and others have sent flowers to the family of Grace Smith (Nutt). Thinking of everyone during this time. Gratze was such a special piece of your family. Very sorry to hear of your loss. Tom DeCoste purchased flowers for the family of Grace Smith.